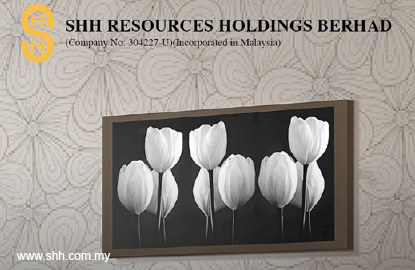 KUALA LUMPUR: SHH Resources Holdings Bhd, which was slapped with an unusual market activity (UMA) query by Bursa Malaysia yesterday, said it is unaware of the reasons that may have triggered the sharp rise in its share price. The Johor-based solid wood furniture maker said save for a report by The Edge Financial Daily entitled “SHH Resources not for sale” and another local newspaper yesterday, it was not aware of any corporate development, rumour, report or any other possible explanation for the rise in its share price. SHH Resources’s share price surged almost 10% to RM2.45 before paring some gains to end yesterday’s trading hours at 17 sen or 7.62% higher at RM2.40. It was one of the top 10 gainers on the bourse, with a market capitalisation of RM111.5 million. SHH Resources had told The Edge Financial Daily in yesterday’s report that it was not for sale, but was instead looking at acquiring smaller furniture players in the industry. The company’s executive deputy chairman Ling Hee Keat said the company was in talks with a few players and should finalise an acquisition in the next three to four months. Ling forecasts that the company’s earnings would continue to be boosted by the strong US dollar, which would also support better dividend payouts.